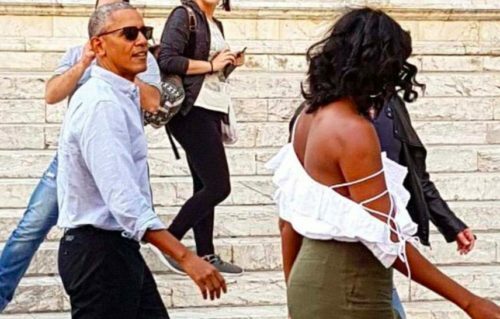 Well, the Obamas are still jet-setting around the world living it up in their luxurious life. I thought no one gets rich in politics? No? Yes? Well anyhow, the high maintenance couple is now in Italy enjoying their continuous vacation. However, there was a little mishap that has the Catholic community a little…oh, how would you say, ticked? They were spotted touring the city of Siena on Monday, however, the former First Lady was grabbing everyone’s attention because of what she was wearing. Her off-duty look apparently shocked many because it was off the shoulder baring plenty of skin through a white strappy top. With that she was wearing high-waisted pants. 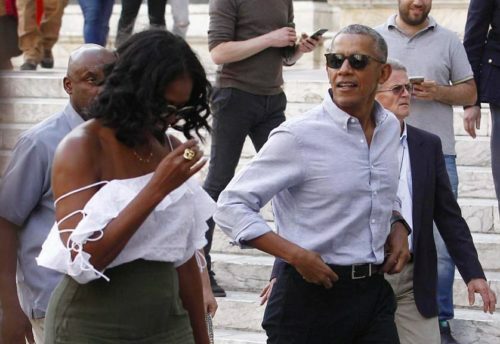 Barack Obama however opted for a more polished look with a button up shirt and pants as the they stepped out of the Duomo di Siena, the Siena Cathedral. And she went in looking like her shirt was falling halfway off. The thing is, normally you would know that when entering into a sacred place, especially a place like a cathedral, being modest in dress would be more appropriate when it comes to respect and reverence for the cathedral. At least, trying to refrain from baring a ton of skin. But…she just let it all hang out. Sorry to say. 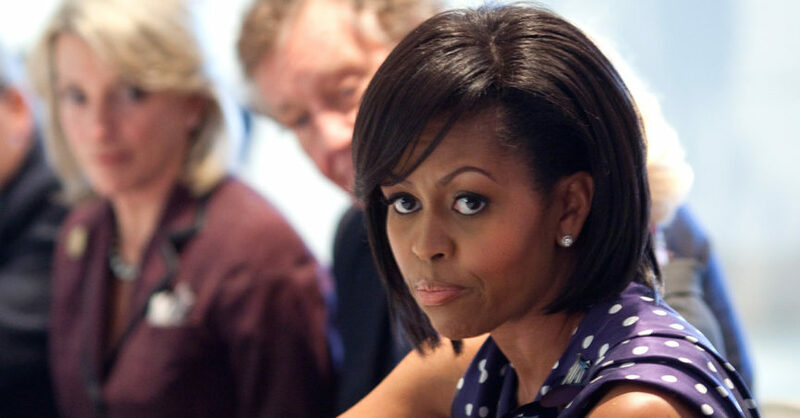 She was the former First Lady, is it not strange that she wouldn’t be more knowledgeable on these things or at least have a better understanding of what proper protocol would be for a place like this? Obviously, she is SERIOUSLY in vacation mode, if she’s dropped even the most simple of courtesies. Basic general rules for the church in Sienna? Q. What is the dress code for visiting the cathedral? A. Same as any other church in Italy, no bare shoulders and no skirts or shorts above the knee. By comparison, Melania and Ivanka Trump received high praise for how they conducted themselves while in Saudi Arabia, with Melania’s dress being described as both classy and elegant by the local media. Okay, this might be a bit petty, considering all the more important things going on right now that deserve attention. However, some days being the better person is just no fun. The left wanted to blast Melania and insult her every which way they could about her attire on her first trip to Saudi Arabia. Just thought it would be good to even up their hate with some truth. So…take that libs. In your face.